Farrar Straus Giroux, 9780374299040, 292pp. "When Joseph Weissmann divorced his wife, he was seventy eight years old and she was seventy-five . . . He said the words "Irreconcilable differences," and saw real confusion in his wife's eyes." ""Irreconcilable differences?" she said. "Of course there are irreconcilable differences. What on earth does that have to do with divorce?"" 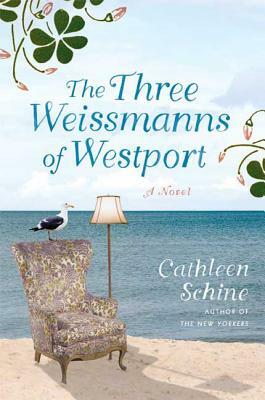 Thus begins "The Three Weissmanns of Westport," a sparkling contemporary adaptation of "Sense and Sensibility "from the always winning Cathleen Schine, who has already been crowned "a modern-day Jewish Jane Austen" by "People"'s Leah Rozen. In Schine's story, sisters Miranda, an impulsive but successful literary agent, and Annie, a pragmatic library director, quite unexpectedly find themselves the middle-aged products of a broken home. Dumped by her husband of nearly fifty years and then exiled from their elegant New York apartment by his mistress, Betty is forced to move to a small, run-down Westport, Connecticut, beach cottage. Joining her are Miranda and Annie, who dutifully comes along to keep an eye on her capricious mother and sister. As the sisters mingle with the suburban aristocracy, love starts to blossom for both of them, and they find themselves struggling with the dueling demands of reason and romance. Cathleen Schine is the author of The New Yorkers and The Love Letter, among other novels. She has contributed to The New Yorker, The New York Review of Books, The New York Times Magazine, and The New York Times Book Review.